Having lived with the volunteer fever for many years, being asked to serve as a board member for Family Serve of Roanoke Valley was a no brainer. Volunteerism is such an enormous part of my life, so much so I was able to turn my love of volunteering into a career. As the director of community development for Wheeler Broadcasting, I specialized in relationship building with the nonprofit sector serving as a liaison to the community. My passion for serving the nonprofit community can also be found in my work with Media Partners, a full service media and advertising agency, in business development. Throughout the years I have had the honor of serving on many boards, from Salvation Army to Blue Ridge Literacy and currently Family Service of Roanoke Valley. I was asked by a former board member of Family Service to serve and did not hesitate to say yes. I was aware of our Teen Outreach Program® (TOP) through my volunteer efforts with the United Way, but did not know the breadth and scope of services until joining our board. During my tenure on the board I have learned so much about the value Family Service brings to our community – whether it is prevention work to keep our youth healthy and safe, providing counseling services for domestic violence survivors or assisting our older adults with personal affairs management. Family Service provides hope and healing to so many members of our community. The mission of Family Service is so simple yet so very impactful. “Strengthen families. Heal trauma. Restore hope.” These 6 words really do encompass what we strive to provide. I believe strong families are the backbone of any community. Coupled with this, resiliency helps individuals to overcome trauma in their lives. Without hope the will to live ceases. All of these factors embody what makes our mission so impactful and why Family Service holds a special place in my heart. Despite not having a personal connection to the cause of mental health, I acknowledge how important the issue is to our community’s overall health and vitality. Mental health is just as important as our physical health. I wholeheartedly believe that it is time for mental health to receive the care and attention it so desperately needs. Sandra served as Chair of the 2018 Celebrity Tip Off committee. 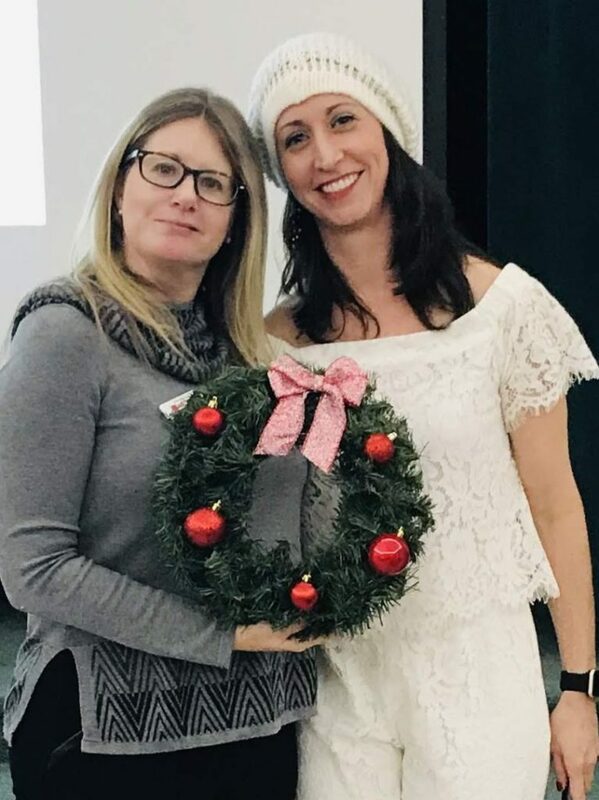 For her hard work and commitment of excellence, she was recognized with the Above and Beyond the Call of Duty award by our Chief Development Officer Ruth Cassell at our annual holiday potluck.